Each data point is on a separate line. The first and second columns were the X and Y coordinates of the data. The third column represents that which of the 4 classes (0-3) that points belonged to. 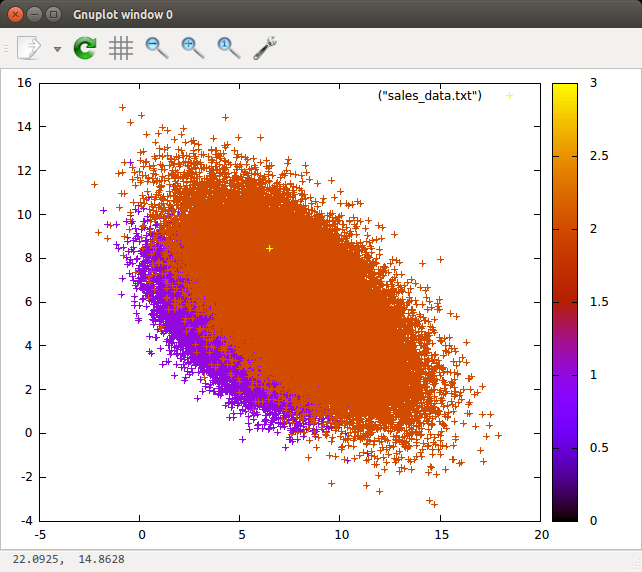 To understand the data better, I wanted to visualize it by drawing a 2D plot with a point for each data point. To distinguish the points belonging to different classes, I wanted points of each class to be drawn with a distinct color. Thanks. Its help a great. How to change color code? for example rainbow.